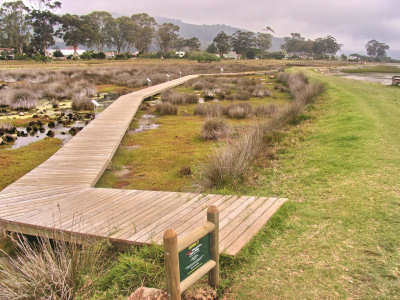 A feature of the management agreement with Knysna Municipality is the appointment of a Management Committee (MANCOM) made up of representatives of Knysna Municipality, Leisure Isle Residents Association (LIRA), SANParks and The Friends of Steenbok Nature Reserve Trust (Friends of Steenbok). Eminent environmentalists are co-opted by MANCOM when appropriate. MANCOM advises LIRA and the Municipality on management of the Reserve and conducts an annual audit to ensure that agreed plans are put in place. Initially these activities were pursued with limited funding from LIRA, Gardening at Leisure (the Island garden club), a municipal grant and ad hoc donations. The indigenous and entrance gardens were completely revamped and regularly maintained. 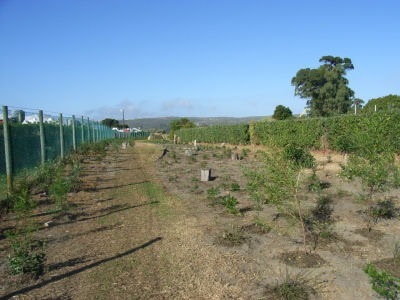 Timber pole fencing was restored, an alien eradication programme established and a partly successful dog litter programme implemented with plastic bags dispensers and bins. 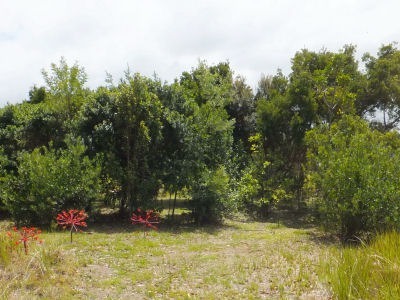 New indigenous flower beds were introduced, many of the untidy wild areas cleared and careful pruning of indigenous trees and shrubs undertaken to discourage ‘over-nighting’. Great quantities of loose bricks, glass, plastic and other debris were removed from the salt marsh area inside the Steenbok sea wall and the inlet pipe manhole cleaned up. As a result there is improved tidal flow through the inlet pipes and the salt marsh area inside the wall is spreading. Great strides have been made with the identification of flora and fauna. With the advent of Friends of Steenbok and the enhanced funding that this produced, these goals could be pursued more aggressively. Planning and consultation with a broad spectrum of professional advisors, individuals and organizations was undertaken. These initiatives included a geographical survey of the area and detailed examination by a hydrologist and professional engineer of the pros and cons of creating an opening in the Steenbok sea wall to permit an increase in the daily tidal flow into the Park. As a result of valid concerns raised this aspect of the development plan was deferred indefinitely. Tide levels are measured and recorded and indicate that abnormally high spring tides (experienced every five years) can be as much as 500mm higher than predicted levels. 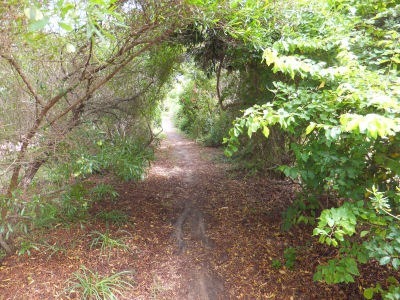 In September 2008 a formal Landscape Management Plan for Steenbok Park (the area east of the Harbour Road) was prepared by Di Grant of environmental planners Grant Johnston Associates. 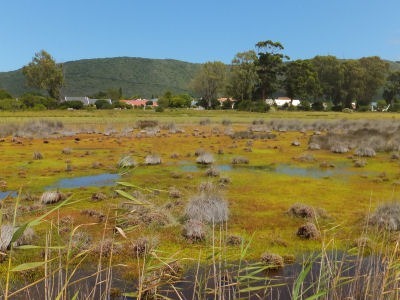 At about the same time Nigel Wessels (previously with Cape Nature) was appointed Vegetation Management consultant for Kingfisher Creek (the area west of the Harbour Road). These plans and recommendations were adopted and were in the main put in place over the following two years. Subsequently advice was obtained from Andrew Johnson of GCS Consultants who also undertook the EIA, for the brick pathway and boardwalks, and obtained the approvals, and who at a later date advised on vegetation and new pathways at Kingfisher Creek. Subsequently annual Action Plans have been formulated and approved by MANCOM in September each year. During this period close relationships with SANParks, Cape Nature, Knysna Environmental Forum, and environmentalists of the Knysna Municipality have been maintained and support and advice sought on an ad hoc basis. The primary objectives of these plans was to retain the existing very attractive open character; maintain a high species diversity in the natural areas; and at the same time increase its recreational potential. 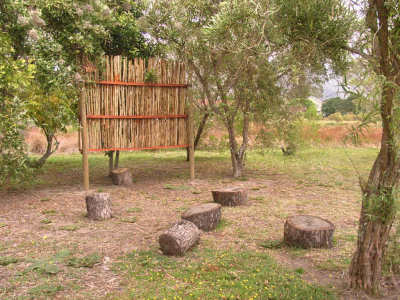 The varied character of the Reserve was enhanced by increasing the diversity of local plant species in the coastal fynbos and dune thicket areas, as well as by the gradual replacement of exotic trees with local indigenous trees. 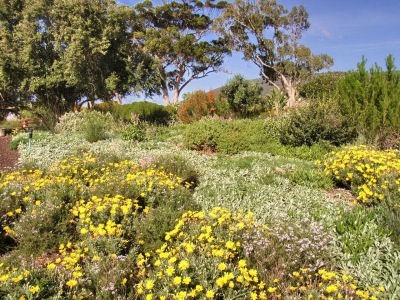 Enhanced biodiversity was achieved by the replacement of exotics with indigenous species, the addition of thorny species to the dune thicket and by increasing the species diversity of the coastal fynbos. Recreation potential was increased by improving access for wheelchair users with the brick path while the new boardwalks now enable comfortable access over salt marsh and wetland in the Park. Interpretive signage relating to the restoration of the coastal and salt marsh, the estuary, and Leisure Isle hydrology was introduced and the display boxes at the three main entry points established to feature seasonal information and news items. 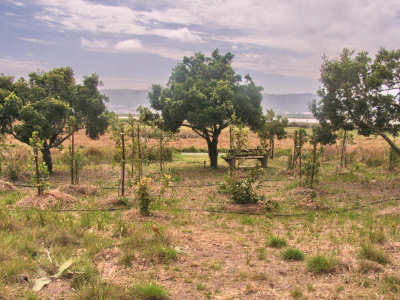 Manage the eco system of the property on the northern shores of Leisure Isle for the benefit of all the Knysna residents, and its visitors, to ensure the natural heritage of this area is nurtured and protected for the benefit of the current and future generations. Protect plant life indigenous to Leisure Isle and the salt marsh community. Prolific bird and butterflies species. Close working arrangements between Trustees and management and operational committees. Large numbers of dog walkers do not utilize the plastic poo bags and litter boxes provided. This part of the plan is arranged under the major vegetation zones occurring in the Reserve as fully detailed in the Map featured separately. Each of the landscape zones is covered separately with a summary of the current status and a brief description of the management principles. This plan has been prepared to ensure continuity of sound maintenance practices and should be reviewed and updated annually. In the event of a change in the Reserve Manager an “Action summary” with a check list segmented into categories such as annual, monthly and weekly activities and once off projects should be prepared and agreed by the new incumbent and agreed with the retiring manager.